Have a nest of bees? 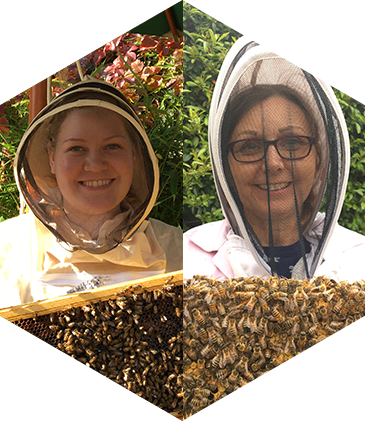 We're a beekeeping mother and daughter duo, Kim and Ruth. We're based in Hull and have over 13 years of beekeeping experience between us. We harvest honey which comes straight from bee hives in Yorkshire. We simply drain it from the combs, filter it three times and hand pour it into our jars. There's nothing added and nothing taken away – honey at its finest. 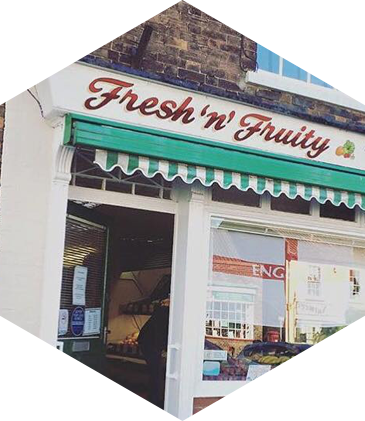 We have a selection of brilliant local businesses in and around Hull who stock our delicious pure, raw honey. You can also buy our honey online on our Etsy Shop here. 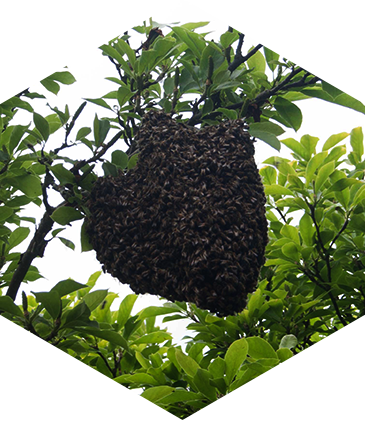 Have a swarm or nest? Often people don't know the difference between honey bees, bumble bees and wasps and often mistake a swarm for just a busy bumble bee nest. 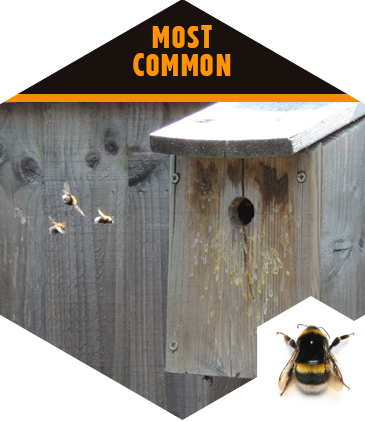 You can get clued up the difference between them and what bees have invaded your bird box. I have a bee nest - what do i do? We get a lot of emails about swarms of bees and usually they're not swarms of bees. Read the helpful information below to help you identity what bees they are and what you should do. They can nest anywhere but commonly in the ground, in bird boxes, roof spaces and compost bins. Leave them alone. Bumblebees die out when the weather gets cold in winter and you can block up any holes they may have gotten into if they're in roof spaces or between walls. No. Bumblebees should be left alone. They do not swarm and live in small colonies. However, it is possible that if they are in a bird box within reachable distance, we may be able to come and collect them (Hull area only) but we'll have to keep your birdbox. If we come out, there will be a small cost - usually £10 plus our travel cost. Yes. But they will never sting unless provoked or threatened. They won't bother you if you don't bother them. I have small children / pets and there's a chance they'll get stung because they're on the ground or in reachable distance, what do I do? Keep an eye on your children when in the garden. We must learn to live with these creatures in harmony. If there's a high risk of allergy, you'll have to get the bees exterminated by a company like Rentokill. We cannot do this for you and this should be an absolutely last resort. How do bumble bees help us? They pollinate our crops and flowers. They are vital to our own survival and pollinate 1/3 of the foods we eat. Honey bees live in hives in large colonies managed by beekeepers. During the late Spring and Summer months, they can swarm which is temporary state for them and they usually disappear within a few hours after they've swamred. 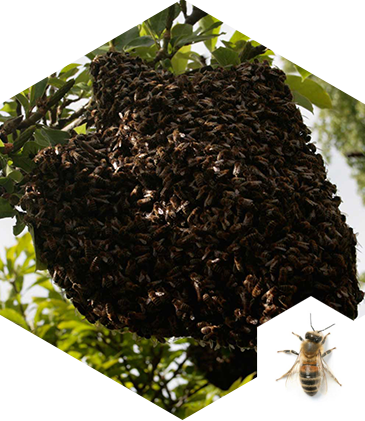 Honey bees are very unlikely to nest in walls and roof spaces and will not nest in bird boxes. You can either leave them to disappear on their own or if you live in Hull, get in touch with us (let us know where you are and where the swarm has settled). There's no guarantee we can come and collect them though and there is usually no charge for this. Yes. But they won't sting unless provoked or threatened. I have small children / pets, what do I do? When you notice a swarm (and you'll know because they'll be THOUSANDS of bees in the air with a humming noise! ), bring children and pets indoors until they disappear or if we're collecting them – wait for us. How do honey bees help us? They pollinate our crops and flowers. They are vital to our own survival and pollinate 1/3 of the foods we eat and make delicious honey! 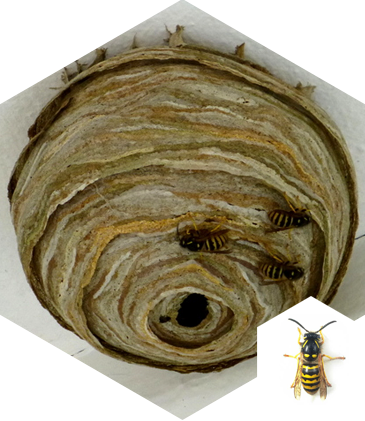 Wasps build their nests and they look like paper elongated domes. They usually nest in wood chips or in roof spaces and attics. If they are no bother to you, leave them alone. No, we can't remove them for you. You'll have to contact Rentokill. Yes. They are usually seen around food and drink at picnics and they can become aggressive quickly. How do wasps help us? They eat smaller insects in our gardens but can generally be a bit of a pest. Have a question or something you'd like to tell us?